Thank you for enquiring about our cottage. The income we receive from bookings helps pay for the repair and maintenance of the Swaledale Museum, allowing us to preserve it for the enjoyment of others, and care for the collections. We warmly welcome you to one of the most beautiful of the North Yorkshire Dales. 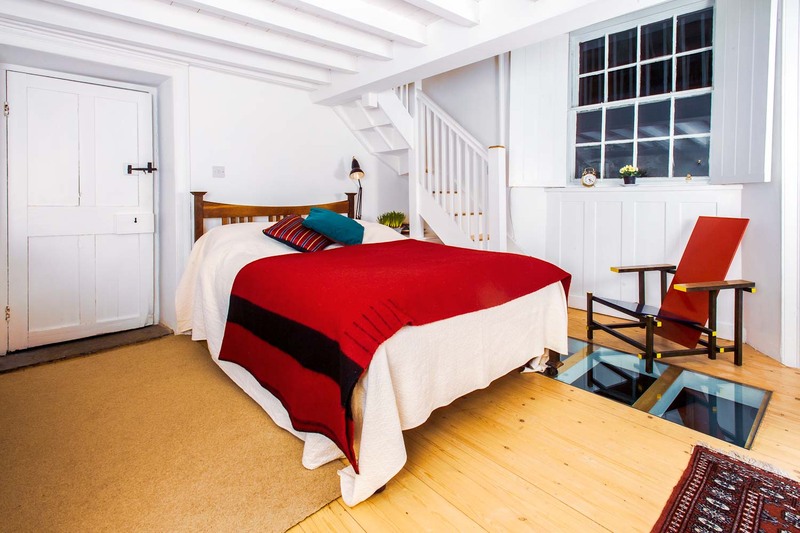 The cottage can be booked for a mimimum of 4 nights at £80 per night. The cottage probably dates back to the late 17th century, and became part of the Methodist Day School opened in 1836. Recent restoration work revealed the old fireplace for a range in the kitchen, which now houses the Rayburn. The room upstairs, now the bedroom was called the ‘Vestry’ where the juniors were taught. From 1862 the building became a Sunday School, and we still have the harmonium and a few children’s books from this time. During the Second World War the site was used to billet troops. After the War the site was refurbished, and the main building turned into a badminton court. The Reeth Wesley Guild used the building for pantomimes in the late 1940s, and the cottage was used as changing rooms. In 1973 the building was turned it into a Museum. The names and dates pencilled on the wooden beam in the kitchen are from visitors. In 2004 the site was restored from a state of serious collapase and returned, after 270 years, to domestic use. The cottage provides clean, comfortable, stylish and unusual accommodation in the heart of spectacular Dales countryside. Ideal for two. 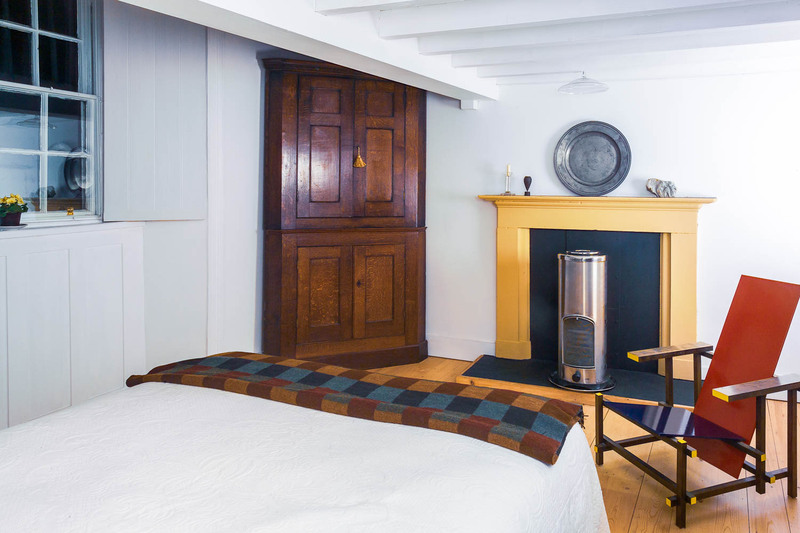 The Museum Cottage is in the centre of Reeth, 10 miles from Richmond. It is on the same side of Reeth Green as the Post Office Shop, and found by walking down from the shop away from the Green, next door to Wesley Cottage. The cottage is through the Museum gates, and the entrance on the left straight ahead. There is parking on the Green by the shop. Keys to the cottage can be collected from Helen and Alan Bainbridge who run the Museum (tel: 01748 884118). 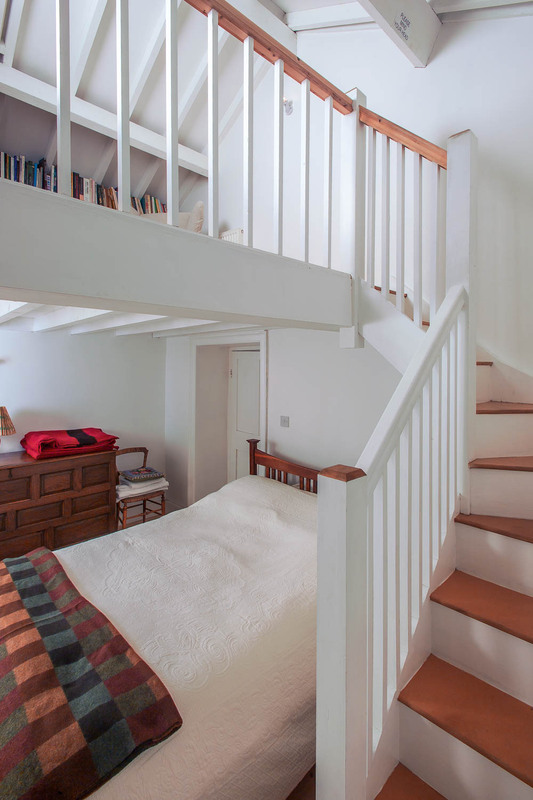 The cottage has a large kitchen on the ground floor, a double bedroom with double bed, and bathroom on the first floor and a sitting room/library on the second floor, which also contains a futon/chair which can be used as a single bed. There are plenty of extra blankets, pillows and covers in the wooden chests. The pretty museum cottage garden is open to you - where you can take tea, breakfast, or just sit and relax. The central heating is operated by raising or lowering the temperature on the thermostat on the wall in the entrance lobby, there is constant hot water. 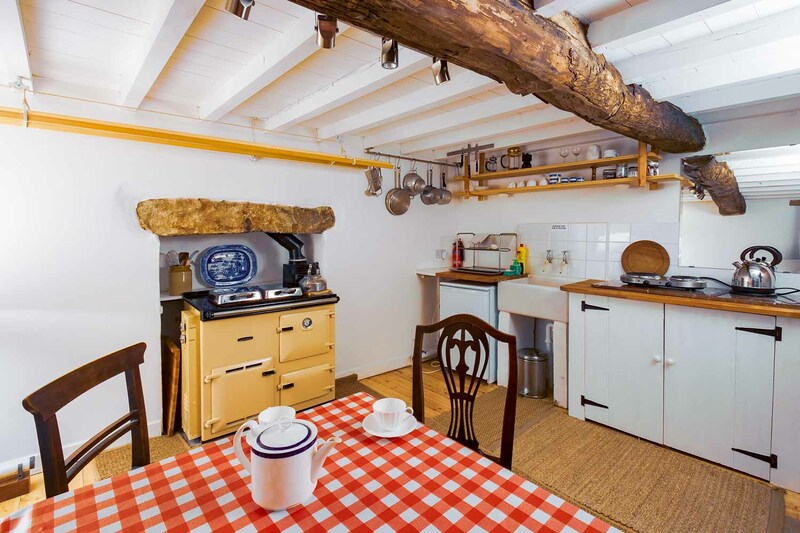 The kitchen has a Rayburn, but this is not always on, so a microwave/cooker and double electric hob are provided. There is a fridge. For visitors staying over a week, washing machine facilities can be provided. We provide the linen including: sheets, duvet, pillowcases, bath and hand towels, and tea towels. Reeth is a well serviced little village, with many pubs, craft shops two general stores and a newsagent. It is the gateway to the scenic Upper Dales. On Fridays there is a small market on the Green in Reeth with a green grocers, butchers, fishmongers and cheesemonger, and in the Season other stalls. There is a Post Office on the Green. There are several places to eat in Reeth, including The Copper Kettle on Reeth Green, Overton House on High Row, the Arkelside Hotel and the Burgoyne Hotel, as well as three public houses. A Fish and Chip van calls at the Bottom Shop at 4pm every Friday and at 5pm moves to Quaker Close. There is a regular weekday (incl. Saturdays) bus service to Richmond, a taxi service (Malcolm Terry) and a community bus (ring 880021 to book). The ‘Bottom Shop’ and Post Office shop sell a full range of groceries, milk, butter etc. The Gift Shop on High Row supplies all the main newspapers. Hudson House on the Green provides Tourist Information including leaflets for local attractions, room booking service, bus and rail timetables, and internet acccess. If you need help or further information please contact Helen or Alan Bainbridge at Wesley Cottage, or on 01748 884118. There is no telephone or TV, and at the moment only Orange mobile ‘phones work in the Dale. There is a public phone box on the Green. 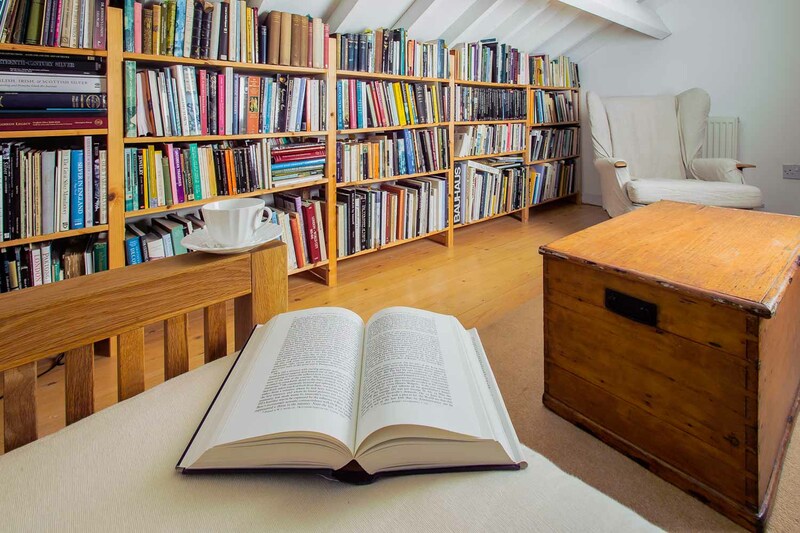 'The upstairs room, with its comfy chairs and yards of books is completely idyllic, both for reading and the occasional snooze!